Generating diversity awareness and finding diverse talent is one of the top challenges for organizations today. How can your organization better connect with, market to, and recruit minority students and graduates? The answer is complex– but begins with developing a targeted and well-planned internal and external recruitment strategy at your organization. Whether you are launching or rebooting your diversity recruiting programs, consider implementing these 10 tactics for creating a successful diversity-recruiting program at your organization. Recruiting and sourcing is similar to a sales process. To effectively find diverse talent for your recruitment pipeline, recruit where diversity thrives. Incorporate diversity recruiting in your campus recruiting strategy by adding schools with diverse study body that represent underrepresented students to your criteria during your school selection process. According to NACE, the two most common sources for diverse recruiting among employers are Historically Black College and Universities (HBCUs) and Hispanic Serving Institutions (HSIs). Target and build strategic partnerships with schools that serve predominantly minority populations for diverse recruiting to boost your diversity recruiting return on investment (ROI). What has your organization had in place for Diversity & Inclusion (D&I)? If your organization already has significant Employee Resource Group (ERG) activities, then prominently showcase them on your firm’s career page and social media channels. Does your company have a diversity statement from the CEO? If so, proudly publish it on your firm’s career page. There are many national and regional diversity professional associations and student groups organized around specific minority groups. You can build your brand in these diverse communities through strategic sponsorship, thought leadership, and events. This will help your organization to cast a broad net to find diverse candidates and ensure that your diverse talent pipeline is always full. Many firms have figured out how to do it successfully. MasterCard is partnering with INROADs, a nonprofit that places high-performing Black, Latino, and American Indian students in internships at leading corporations. Likewise, Aon builds professional partnerships with organizations such as Out & Equal Workplace Advocates and the American Corporate Partners for Veterans. Dun & Bradsheet has a relationship with the National Black MBA Association (NBMBA) and is a supporter of the association’s scholarship fund and outreach program. 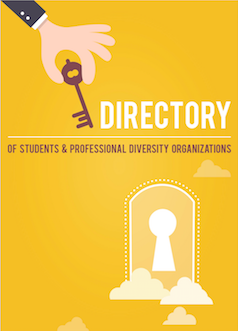 If you need to review or start your strategic partnerships with minority student professional organizations, you can start by reviewing this comprehensive list of Diversity Professional & Student Organizations. The efficiency of virtual events cut recruiting costs and help companies tap into a wider talent pool. Virtual career fairs have proved to be an effective means to reach groups like veterans, women, and people with disabilities. If your organization has resources, you can host your own virtual career fair. Verizon had great success with hosting their own veteran recruiting virtual career fairs. KPMG attracted over 10,000 candidates all over the world to their own virtual career fairs. If you are not ready for that big move, you can look to join a diversity-focused virtual career fair. CareerEco is a virtual recruiting platform and talent community for jobseekers, prospective graduate students, academic institutions, and employers. Its iconic event is the Bender Virtual Career Fair, which provides an opportunity for employers and job seekers with disabilities to connect online. Past virtual career fairs have included over 1000 registrants from all over the U.S.
Gettinghired is an online service organization focused on creating employment opportunities for job seekers with disabilities. This organization also hosts virtual career fairs that connect employers with job seekers. Veteran Recruiting is the global leader in virtual career fairs for military community. In the past, Veteran Recruiting virtual career fairs have helped more than 120,000 veterans find meaningful employment after their military career has ended. Many big corporations have participated in these career fairs, including Accenture, Apple, Aramark, Exelon, First Data, JPMorgan Chase & Co., Lowe’s, Pfizer, Travelers, Verizon, and Wells Fargo. One of the best recruiting sources is word of mouth. Diverse employees know and talk to other diverse individuals. Your employees share what it is like to work for your company. Because of this, your diverse candidates’ perception of your company spreads throughout their communities. To capitalize on your employees’ network, bolster employee-referral recruiting programs at your organization, including a deliberate message about the business need for a diverse workforce and the importance your company places on diverse referrals. Communicate your organization’s goals and where you are in the process of building a more diverse and inclusive workforce with your employees. Social media not only helps you to build your employer brand but also allows you to identify and target very specific candidates. According to a survey by ADP, LinkedIn is the most effective diversity recruitment and sourcing tool . There are millions of groups on LinkedIn for almost every profession. Your recruiters can join, develop long-term relationships with active group members, and post relevant openings or company updates. For instance, Kaiser Permanente has its recruiters join diverse groups on LinkedIn, like female professionals, Latinos, and African Americans. LinkedIn also provides specific tips for diversity sourcing. Besides LinkedIn, Facebook is an effective channel to target your ideal diverse candidates. Facebook allows you to target specific demographics and create targeted advertising campaigns on Facebook to reach diverse student groups. Another way of utilizing Facebook is to create your company’s “Diversity Careers” Facebook Page and promote it through a targeted advertising campaign. For large organizations with capital resources, you can build your diversity brand and attract diverse talent with educational and community partnerships. Intel Capital, Intel Corporation’s global investment organization, recently announced the Intel Capital Diversity Fund, which will invest in technology startups run by women and underrepresented minorities. Monsanto partnered with the company’s philanthropic arm, the Monsanto Fund – to help encourage Black, Latino and women students to pursue STEM (Science, Technology, Engineering and Mathematics) subjects. These efforts were a proactive approach to increase diversity in their talent pool and reinforce their branding in diverse communities. Members from your ERGs should act as effective ambassadors for your college recruiting and outreach efforts to diverse professional organizations. Many firms use their ERGs to directly interview and hire diverse candidates. For example, Ernst & Young used their LGBT ERG to help relocate a gay partner and his spouse to Cleveland from Paris by introducing him and his spouse to members of the local LGBT community. A number of firms have developed formal internship programs that cater to a diverse group of high-caliber college students whose education and experience align with the needs of their company. For example, PwC boosts their diverse campus hires through their Explore and Start programs. Explore is a one-day early-identification program for college freshmen and sophomores, while Start is an internship experience for top-performing, diverse college students in their sophomore and junior years. EY has their LAUNCH program targeting ethnically diverse freshmen, sophomores and transfer students, while Accenture provides their own Accenture Student Empowerment Program to female and minority students in their freshman and sophomore year. What get measured gets done. Establish clear, measurable diversity recruiting metrics to track your progress. As big data is revolutionizing how we do business and analyze data, campus recruiting teams must always be pushing to become more data-informed. By adopting the right campus recruiting software, recruiter can monitoring and assessing important metrics strategically and make for less-biased hiring decision. Campus recruiting leaders who know how to harness the limitless possibilities from campus recruiting software can take out the guesswork, work out evidence-based strategy for their campus recruiting programs, and sell their team’s contributions to their overall organizations. No matter your organization’s size or number of diverse employees, there are always more ways to improve. The endgame for your organization, of course, is to find the best talent. Sourcing diverse talent will only help you achieve that goal more effectively. How many of these 10 tactics have you been using effectively? Share with us below.Oh – and use the social sharing buttons on the side to share this post with others!